Our Guest House is a place for volunteers and visitors to stay and the proceeds from it directly support our programs. It is a Bed and Breakfast with three bedrooms; two baths (one ensuite); an efficiency kitchen stocked with Ugandan snacks, fresh fruit, and bottled water; a sitting room with books about Africa; a dining room; wifi; and two verandahs. 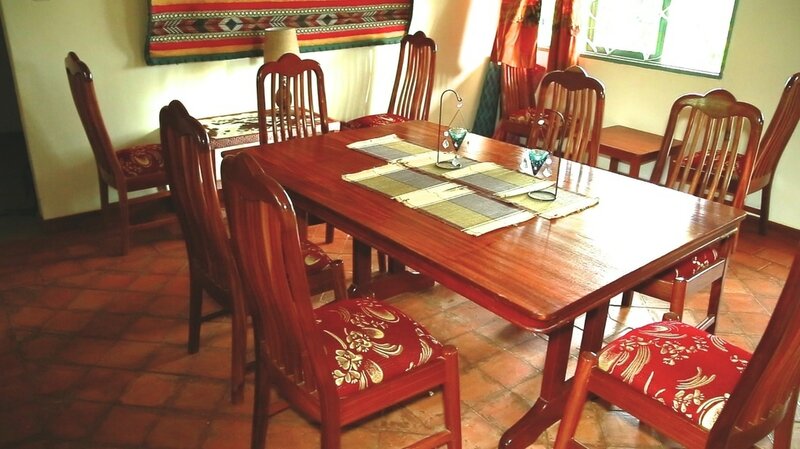 The Guest House is located in the outskirts of Kampala, northeast of the city. Our village is called Jogo. The roads are red-dirt lined with homes, small businesses, lush vegetation, and the occasional cows, chickens and goats. A security guard/caretaker is on the premises 24/7. From the Guest House it is easy and very safe to walk to the heart of the village. 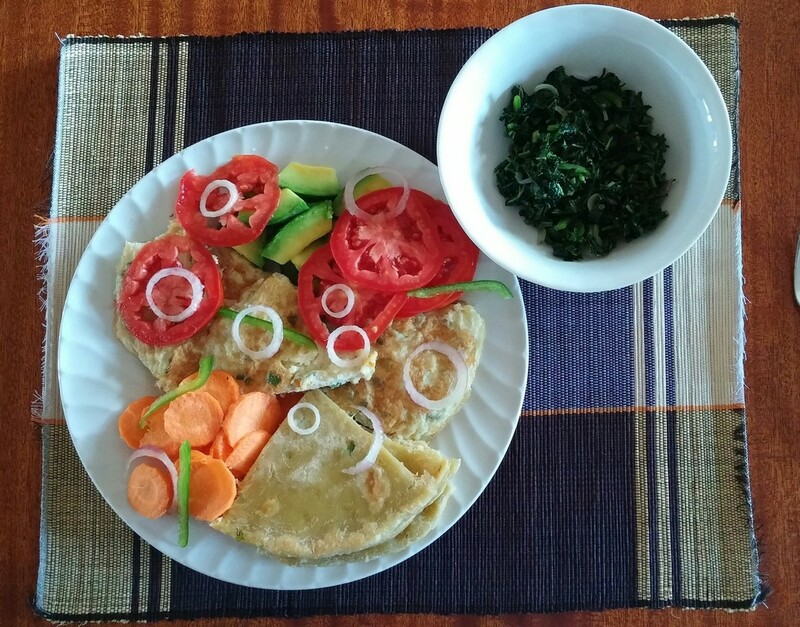 A woman sponsored by Connect Africa in a course on catering prepares Ugandan meals for guests. A security guard lives on the premises. Charles, Lynn, and the guest house staff are available for all your needs, starting with your arrival at the airport. Every morning, you will awaken to different activities happening around you: children playing on the swings and seesaw, women sitting in the meeting structure knitting and making native crafts, or women baking bread. We encourage you to visit with our families, stroll through the area, and engage with people who are very excited to say hello. By speaking English with them you are enriching their day. Come to relax, unwind and experience authentic Uganda village life. We welcome visitors for any length of time from those just passing through to those interested in an extended stay!